Get proficient in identifying, evaluating and managing various risks affecting organisation's strategy and operations. 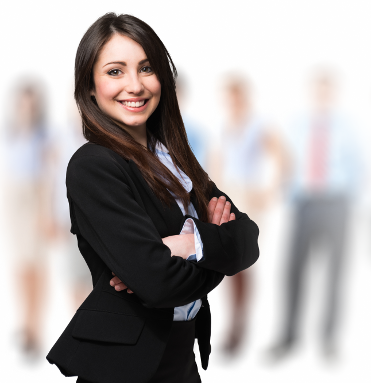 Learn the skills necessary to advance your career. How can I pass my P3 exam? You are here because you want to be successful. We get that. You want a better life, faster career growth, well-deserved respect and more money on the bank. You will get ALL that with CIMA, definitively! The pass rate for P3 exams was only 54% in 2017. Impeccable knowledge - you need to be comfortable with the full syllabus. Plenty of practice - this will improve your understanding of the syllabus, enable you to figure out your own exam technique and make you more confident come exam day. Everything you need to pass first time. Study at your own pace with access to programme content, testing activities and unlimited mock exams at any time. This Complete P3 Course gives you the best of both worlds, combining the structure of a tutor-led course with the flexibility to start studying anytime and anywhere. online tool with 500 Revision Questions! Watch this video to see how this tool will help you pass your P3 exam. How much is it in my currency ? 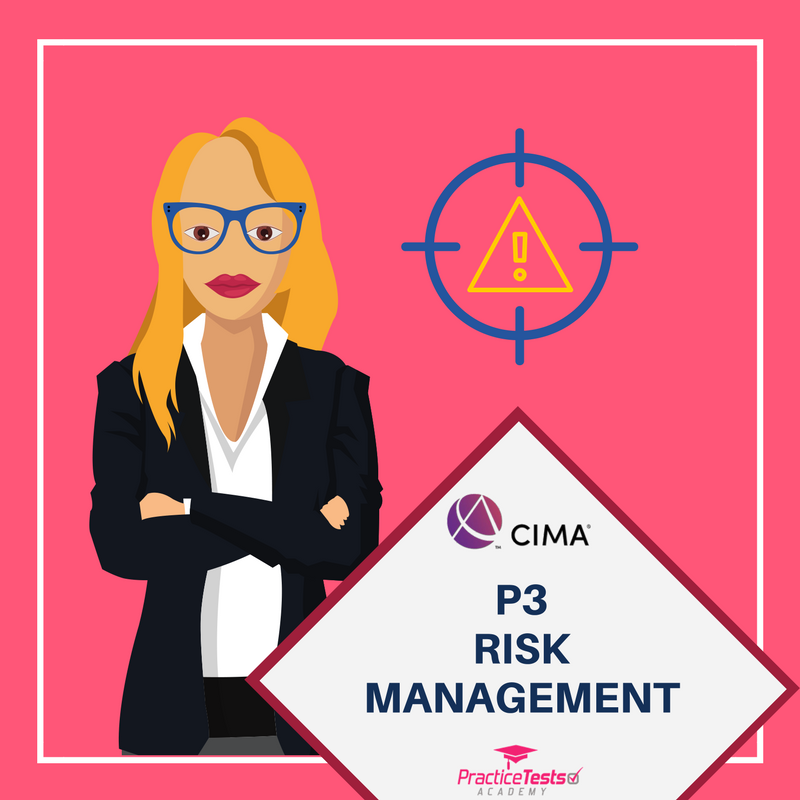 CIMA P3 shows how to identify, evaluate and manage various risks that could adversely affect the implementation of the organisation’s strategy. It provides the competencies required to analyse, evaluate and apply the techniques, processes and internal control systems required to manage risk. This insight is then used to manage the risks associated with both cash flows and capital investment decisions – two important areas of organisational life for which the finance function is responsible. Formulate and implement financial strategy to support the overall strategy of the organisation. Develop skills to evaluate and recommend alternative sources of finance. Develop competencies required to value investment opportunities including divestments, mergers and acquisitions. 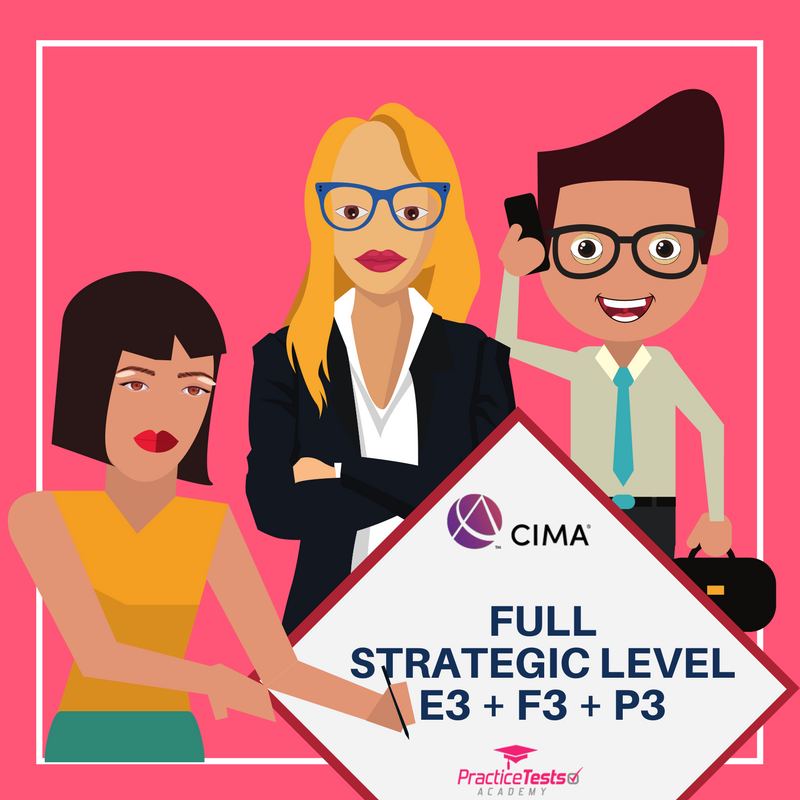 Need help passing your CIMA P3 exam? What is the best way for your to get ready for your P3 exam? What do you need to prepare better, faster, to make your study process more efficient? Do you need a complete course to add structure to your studies? Or maybe you are fine with going through the book on your own, but you just need to practice more before the exam day? Our team has developed a range of P3 exam preparation materials. P3 objective test packages that are designed to give you everything you need to pass your P3 exam. Our P3 packages contain a range of high-quality exam questions. Our interactive Practice Kit will complement your chosen method and give you the confidence to take your next exam. Use our P3 mocks to familiarise yourself with the syllabus and assessment method. It is the perfect tool for your exam preparation and practice. We also give you the option of talking to a tutor via our private Facebook group if you have any questions. Get the quality you deserve. We are an official CIMA Learning Partner. Test yourself on 60 questions under exam conditions and get a detailed report indicating your strengths and weaknesses. You'll find out which parts (or even chapters from the Kaplan study book) you're good at and which areas you need to improve in. You'll be able to go through the mock, check the answers you've selected and compare your answers with the correct ones. Don't forget about our tutor-monitored Facebook private group, where you can ask any follow-up questions. If you decide you need more practice, you always have the option of upgrading to our full online practice kit, just by paying the price difference. 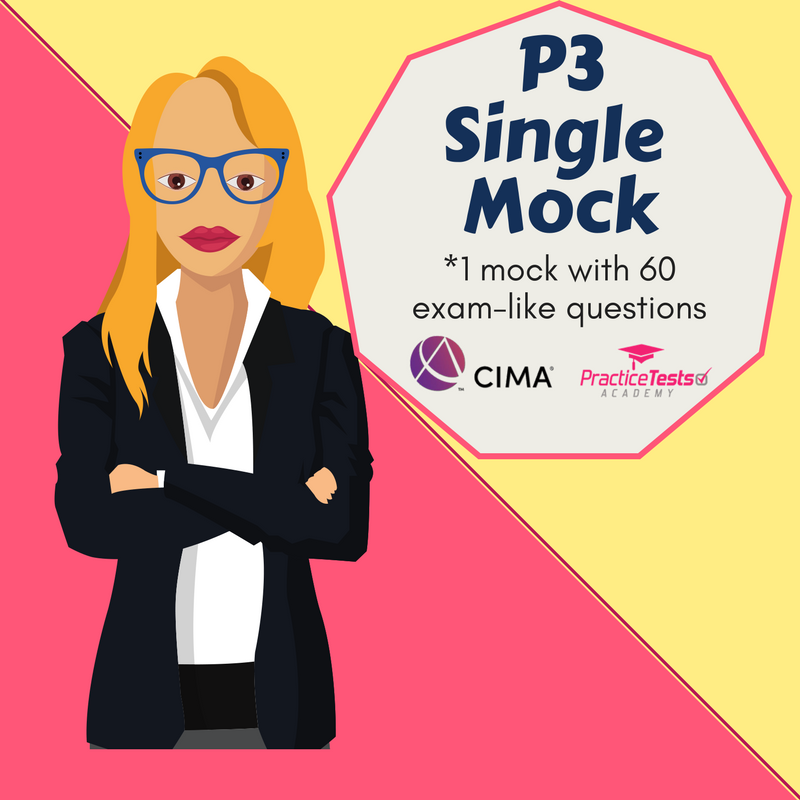 Complement your CIMA P3 studies with our complete set of 500+ questions and answers. You will be able to attempt questions at your own pace, getting instant feedback on your answers and an explanation of the correct answer. Our study mode allows you to focus on specific syllabus areas. We've created our tests in such a way that you can choose how you want to practise - either by part of the syllabus or directly by chapter of the study book. Test yourself on 60 unique questions under exam conditions and then get a full report indicating your strengths and weaknesses. There are also two other mocks - a full mock with 60 questions and a mini version with 30 questions. These questions are randomly drawn from our study mode, weighted according to the syllabus split. That means that you can take unlimited exams with a different set of questions every time. The focus here is on helping you find your own exam answering technique and improving your time management skills. Whether you attempt a mock exam or focus your studies on a specific topic, you will always get a detailed analysis of how you are progressing. Study at your own pace with access to programme content, testing activities and unlimited mock exams at any time. The Complete P3 Course gives you the best of both worlds, combining the structure of a tutor-led course with the flexibility to start studying anytime, anywhere. YOU GET THE BEST DEAL! Give yourself flexibility with which paper to study first or second or third. Assure yourself an access to each paper's practice kit with 500 Q&A for a full year and complement that with a pre-recorded video course(s) for 1, 2 or even 3 papers. Set yourself for success from the beginning! Get E3, P3 and F3 500 Q&A packages and instantly save £40. Instead of £165 (3x£55), pay only £125. 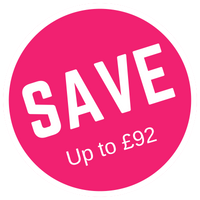 Get E3, P3 and F3 Complete video courses and instantly save £92. Instead of £387 (3x£129), pay only £295. And you are 100% safe to try this. That's all we're suggesting. Just try it for 7 days to see if that works for you. If it does, then you'll be delighted and I think that's exactly what's about to happen. If for some reason you had a quick look at the Complete Course or the 500 Q&A package and you didn't find the tool enough transformational, just let us know what is the reason and we'll send you your money back. Our policy can be found here. That's great and many thanks. Yes, I'm impressed with the material so far and is exactly what I was looking for. The number of providers with different syllabus materials and also varying levels of practice questions are confusing. Especially when home studying. It is with great pleasure that I write to inform you I finally passed P3 last Saturday (29th September 2018) on my 4th attempt. I had attempted twice before I came in contact with your materials. I tried again like 3weekends ago but narrowly missed the cut-off score. Your materials were very helpful indeed. Please let me know if I can get materials for SCS as I intend to write the November 2018 exams. 500 high-quality questions with elaborated answers to strengthen your knowledge and skills. Take a full mock with 60 unique questions to test your knowledge in the days leading up to your exam. Two practice modes available for your convenience and improved learning: a study mode and an exam simulator. You can choose between two mock types - full mocks with 60 questions or mini-mocks with 30 questions. Questions are divided into sections according to the % syllabus split. Each section of the syllabus has been drilled down to a chapter level. You can ask the tutor questions on our members-only Facebook group. All questions are based on the newest Kaplan materials. You’re not alone. For professional help, you can ask the tutor directly on our closed FB group (members only). At Practice Tests Academy we are very confident that our products will help you to pass your CIMA exams. That is why we offer a 7-Day Money Back Guarantee and Pass Assurance. You are 100% safe to try this. That's all we're suggesting. Just try it for 7 days to see if it works for you. If it does, then you'll be delighted - and I think that's exactly will happen! If you had a quick look at the Complete Course or 500 Q&A package and you didn't find the tool transformational enough, just let us know why and we'll send you your money back. Our policy can be found here. Stop procrastinating, start practising today.